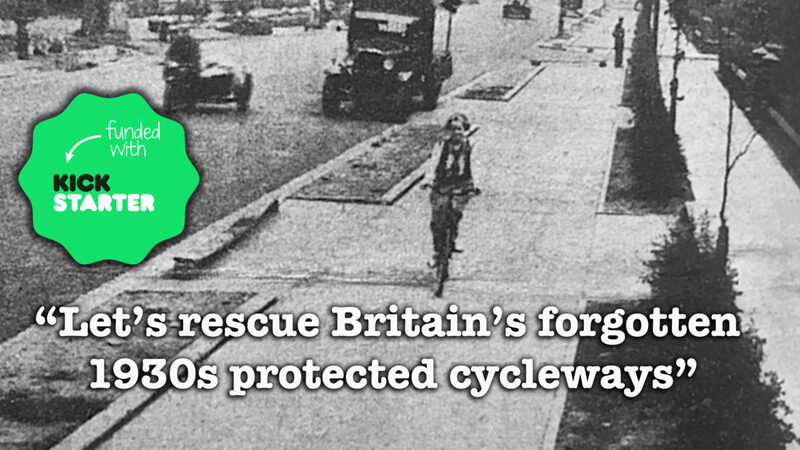 “Let’s rescue Britain’s forgotten 1930s protected cycleways” is seeking crowdfunding on Kickstarter. The campaign went live on 25th April and runs for thirty days. “Let’s rescue Britain’s forgotten 1930s protected cycleways” – the link is https://www.kickstarter.com/projects/carltonreid/lets-rescue-britains-forgotten-1930s-protected-cyc – is a crowd-funding project by Newcastle-based Carlton Reid, executive editor of trade magazine BikeBiz, and author of Roads Were Not Built for Cars* (Island Press, 2015) and Bike Boom (Island Press, 2017); and transport planner John Dales, director of Urban Movement of London, ex-chair of the Transport Planning Society, and a columnist for TransportXtra. The project originally sought crowd-funding on Kickstarter of £7,000, and exceeded this target within three days. 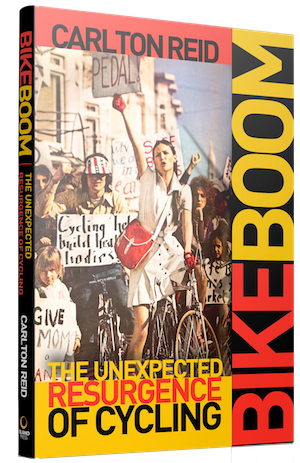 Reid has run two successful campaigns on Kickstarter, one in 2013 for Roads Were Not Built for Cars and the other in 2015 for Bike Boom. Between them, these two books raised £32,000, and were subsequently published by Island Press of Washington, DC. The first print edition of Roads Were Not Built for Cars was sold out within days. The iPad edition went to number one in the history category on iTunes. The Kindle edition made it to number one on Amazon.com, in the automotive category.